The Vikings famously took no prisoners, relished cruel retribution, and prided themselves on their bloodthirsty skills as warriors. But their prowess in battle is only a small part of their story, which stretches from their Scandinavian origins to America in the West and as far as Baghdad in the East. As the Vikings did not write their own history, we have to discover it for ourselves; and that discovery, as Neil Oliver reveals, tells an extraordinary story of a people who, from the brink of destruction, reached a quarter of the way around the globe and built an empire that lasted nearly two hundred years. The Vikings: A New History offers an intriguing glimpse into a group long pictured as marauding barbarians. Unlike many books on this subject, Neil Oliver relies heavily on the archaeological evidence and builds up a strong background of the Vikings looking at where they came from and how their social and political world evolved. 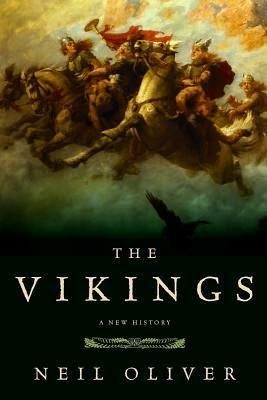 This book is a fairly scholarly work, and though the prose style is very accessible, it may not appeal to the less academically minded; however, it is an excellent addition to the library of anyone interested in the Vikings and their world.